April 14, 1865. President Abraham Lincoln was shot at 10:15 p.m. while attending a performance of Our American Cousin at Ford’s Theatre with his wife Mary. The President died the following day at 7:22 a.m. It would be 11 more days before the Lincoln’s assassin was found and fatally shot. There have been many books and articles written about the assassination of Lincoln. As we approach the 150th anniversary of that fateful night, the Batavia Public Library looks to author James L. Swanson’s vivid account of the assassination and the days that followed. This riveting account of the search for John Wilkes Booth is unexpectedly suspenseful, given that we know the outcome of the chase. Swanson’s detailed narrative puts the reader on the scene, amidst the killers, conspirators, cavalry, and detectives. Manhunt won the 2007 Edgar Award for Best Fact Crime book and was a New York Times best seller. Middle school and high school students are invited to read the youth version, Chasing Lincoln’s Killer, also written by Swanson. James L. Swanson is the Edgar Award-winning author of New York Times best sellers Manhunt: The 12-Day Chase for Lincoln’s Killer and its sequel, Bloody Crimes: The Chase for Jefferson Davis and the Death Pageant for Lincoln’s Corpse. He is also the author of End of Days: The Assassination of John F. Kennedy. He has written youth versions of each book: Chasing Lincoln’s Killer, Bloody Times: The Funeral of Abraham Lincoln and the Manhunt for Jefferson Davis, and “The President Has Been Shot! ": The Assassination of John F. Kennedy. 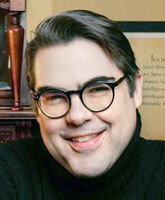 Swanson serves on the advisory council of the Ford’s Theatre Society. He has degrees in history and law from the University of Chicago and UCLA, and has held a number of government and think tank posts in Washington, D.C., including at the U.S. Department of Justice. Mark Pohlad, Associate Professor of Art History at DePaul University, examines photography from the 1840s to the 1860s, as well as its impact on Lincoln’s dramatic career. This is a close look at many of the most famous images of Lincoln along with discussion about how they were made, what history they illustrate, and what they say about America’s greatest President. Co-sponsored by the Batavia Public Library Foundation. Please register. Step back in time as storyteller Lynn Rymarz tells the story of Mary Surratt, convicted and hanged as one of the conspirators in Abraham Lincoln’s assassination. Hear Mary’s story come alive as she tells of her life as a loving mother, a grieving widow, and a landlord. Listen to the events that led up to Lincoln’s assassination, her arrest, and her own testimony at the military trial. Hear the words of the verdict, and how she proclaimed her innocence in the days before she became the first woman in the United States to be executed. Decide for yourself if Mary Surratt was guilty or innocent of conspiracy in the assassination of President Abraham Lincoln. Please register. Lincoln scholar James L. Swanson talks about his best-selling book Manhunt: The 12-Day Chase for Lincoln’s Killer. Book selling and signing will follow the presentation. Please register. Batavia High School's National English Honor Society created a discussion guide to Manhunt. One Book, One Batavia is an annual community-wide reading program presented by the Batavia Public Library in cooperation with Batavia High School and co-sponsored by the Friends of the Batavia Public Library and the Batavia Foundation for Educational Excellence.